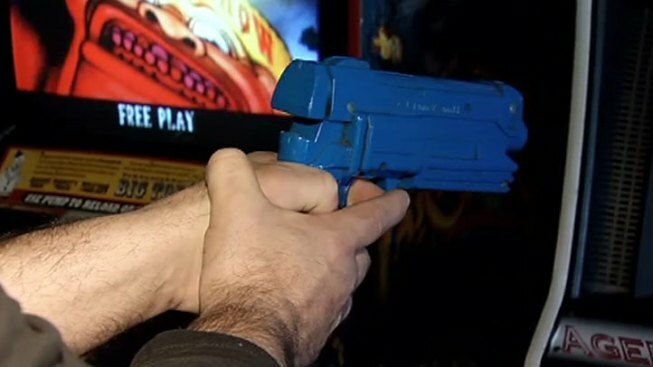 The state is considering banning shooting games at arcades for anyone under the age of 18. In the wake of the shooting at Sandy Hook Elementary School, information emerged that that the shooter who killed 20 students and six educators spent a lot of his time playing violent video games. That has motivated Legislative proposals to create the Violent Video Game Task Force within the Department of Children and Families to study these games and see if they can affect a child’s behavior. The Legislature has also prompted legislation that would prohibit public arcades from allowing anyone under the age of 18 to play violent point-and-shoot video games on the premises of the business. The state House of Representatives and Senate approved a similar bill the 1999 Columbine shootings, but then-Governor John Rowland vetoed it. After the shooting rampage at Sandy Hook Elementary School, State Rep. DebraLee Hovey, of Newtown, proposed placing an additional tax on video games, which would go toward funding studies and educating parents about the games. On the national stage, the U.S. Supreme Court in 2010 decided that there is no proof that violent games and more negative effects on children than other forms of media, including books. Some parents said they just don’t need a study. They just keep video violent games out of the house. "I want them to get the reality that, when you use a gun and you shoot it at somebody, a lot of times the people aren't going to get back up," Teresa Hemmer, a parent, said. The legislature’s Children Committee will meet at 11 a.m. on Tuesday in Room 1B of the Legislative Office Building to discuss the legislation.